Gemini brings the Psion Series 5 design into the 21st century. 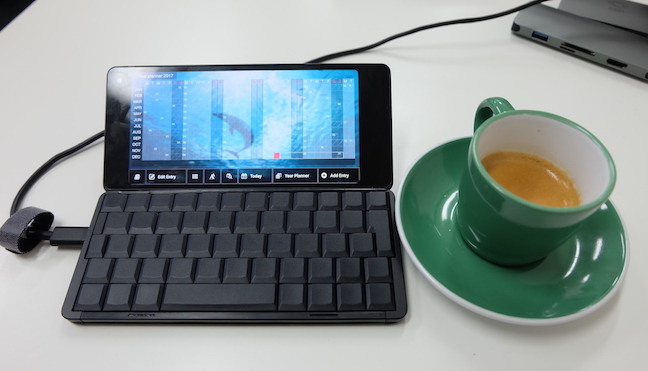 Psion’s designer, Martin Riddiford of Therefore, has devised a new keyboard and hinge, which allows the machine to spring open and snap shut, just like Psions used to, and stand firmly on a flat surface without keeling over. Inside is a full phone board, MediaTek’s 10-core chip.It dual boots between Android – yes, with full Google Play Services – and Linux.